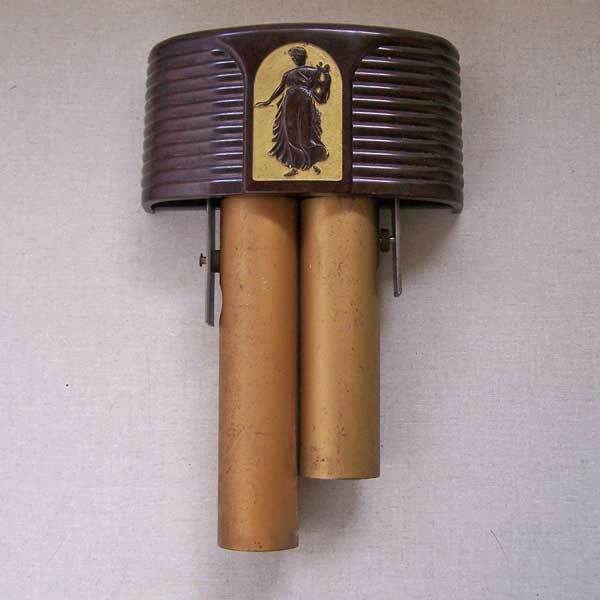 This Mell-o-Chime doorbell is a an Art Deco sister chime to the Mell-o-Chime Stylist and Longfellow Apollo. 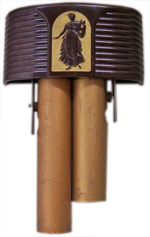 These chimes share a large number of internal and external components and materials, including bakelite covers and identical mechanism. 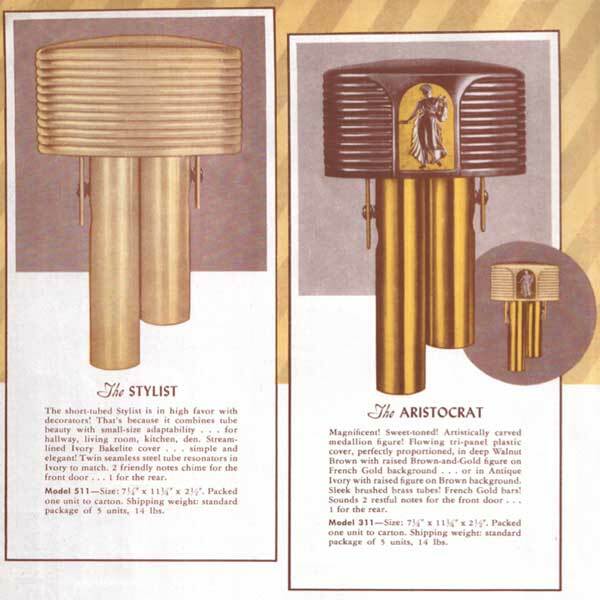 This is believed to be a later model of the Aristocrat 311, as it has painted resonator tubes instead of the brush brass tubes described in the brochure and used in the first generation Aristocrat. The tone-bars in this exampe are painted black instead of Gold, and the ends are square, as opposed to rounded. 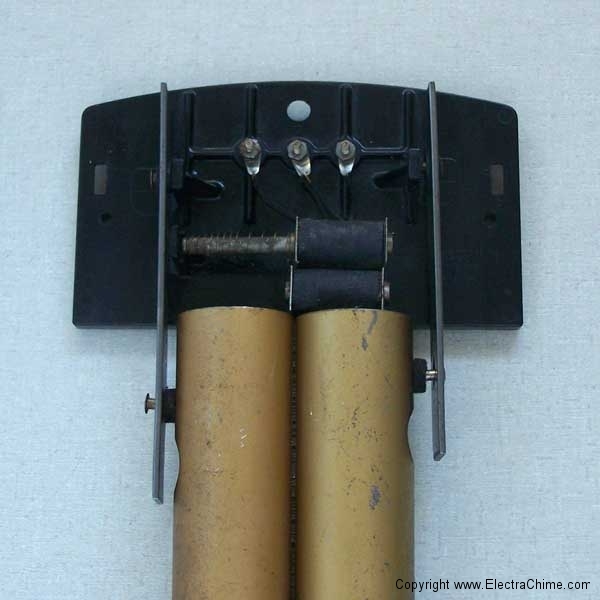 This example is missing the primary solenoid armature which is almost certainly why it was taken out of service. Most likely, seriously deteriorated rubber grommets allowed just enough play between the tone bar and the solenoid barrel to allow the armature to be lost. Replacing the grommets on a resonator chime, and fitting a new solenoid armature are typical mechanical repairs to a resonator chime. Materials Bakelite cover with painted details. 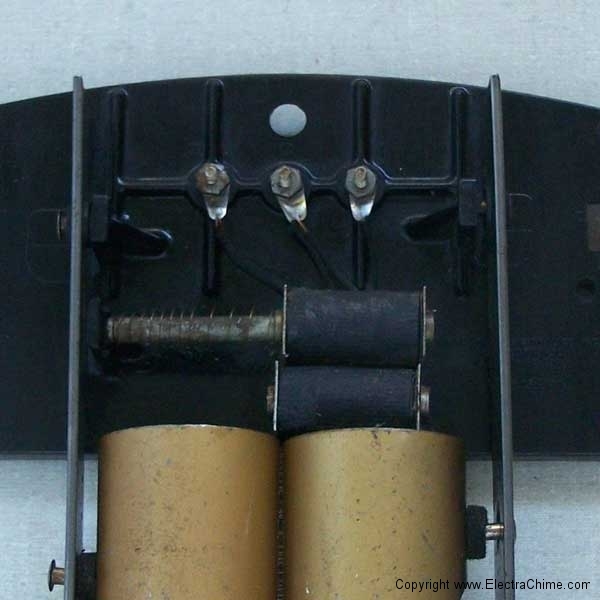 Bakelite mechanism. Painted steel resonator tubes, Black painted iron tone-bars.